Yay! 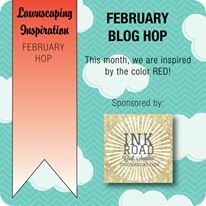 It's the Lawnscaping Challenge Facebook Team Blog Hop again. 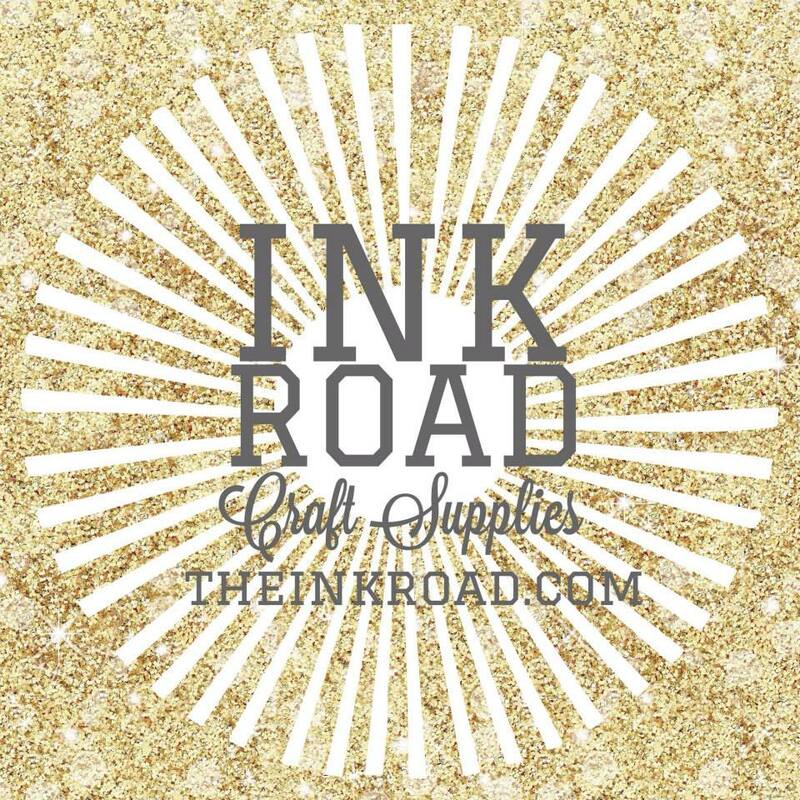 If you didn't catch the hop last month, I'll share again that we have a new sponsor : The Ink Road. The Ink Road is an adorable shop run by the fabulous Lara Smith. Her store is filled with all kinds of adorable crafty goodies from stamps (she carries our beloved Lawn Fawn) to dies to supplies to journals and planners! If she doesn't have it, she can get it. She also price matches... . AND YES, she ships internationally. When you receive your order, you will smile because the packaging is absolutely adorable! Each order is filled from the creative heart! Be sure to check her out at her shop and her blog. The winner of this hop will win a $25 gift certificate. How great is that! For this month, we are using the colour : Red! I was afraid that I might get carried away and make it look too red, if you know what I mean. I thought I'd go with a candy stripe look and go simple. Red is such a bold colour, I wanted to keep it neat :) A simple stripe background made with washi tape & distress ink. I took the coffee cup image from Love You A Latte stamp set. The winner will be chosen at random from the comments from any of the hopper's blogs so be sure to comment on everyones posts and be inspired :) You will have until midnight Sunday EST to comment to be eligible for the $25 Gift Certificate from The Ink Road..
Fabulous card Marina :) Love the little cup with the face. ive still not used that one yet. Like the mustache face w/ wonderful red. Love the cup with the bold stripes! Awesome card!! Love the white/red striped background!! Fun!! Fun. Love the little coffee cup and the raised banner. LOVE this CAS card! The white and red stripes go perfectly! Excellent idea using the Washi Tape!! Really cute card!! This card is so striking! Love the bold design and the cute coffee cup. Really pretty. I love the window with the coffee cup and the red an white stripes really are eye catching. Super cute card! Such a fabulous design, very pretty card!!! AAAAHHH! I love this to death!!!! The stripes look awesome with the coffee cup! Oh my goodness, this is fantastic! I love your design! I like this one! Have the same clearstamp at home. How wonderfull how a simpel card can be so beautiful. I love it, is so beautiful!!! Awesome card. GOing to give the washi/ink technique a go. This is so cute. Those red and white stripes are FAB and that little cup is adorable. Fabulous card - the wide stripes are a great bg for that "cup of joe"! Super cute and eye popping card. love it! Oh I love that little latte! Super CAS card! Awesome card and I love those red stripes! Ohhh I love the background and the cute mustache!!! What an adorable background, love the cup with face.